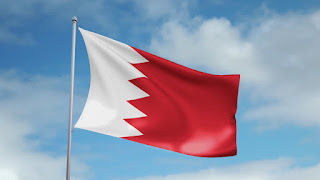 Manama – King of Bahrain Hamad bin Isa Al Khalifa issued on Sunday a Royal Order to form a legislative committee to review the new unified family law expected to be issued in the kingdom. The Royal Order 24/ 2017 directed that the committee be formed of Supreme Council for Islamic Affairs called Legislative Committee to review the family draft law. Article One stated that the Legislative Committee consists of ten clerics of both Sunni and Shi’ite sects. It added that the committee will hold its meetings at the headquarters of the Council. Whereas, Article Three specifies that the committee will consider the family draft law, its provisions and to ensure they are in accord with Islamic law. Article Four states that the Legislation and Legal Opinion Commission will undertake the responsibilities of the committee’s secretariat. In addition, Article Five stipulates that the committee will submit a report to the Royal Court on its findings and recommendations with regard to the draft referred to it, and that the committee’s work ends immediately after the issuance of the family law in conformity with the constitutional procedures. The Royal Order will take effect from the date of its issuance and its publication in the official gazette. The bill is composed of 149 articles and governs personal status and family matters such as marriage, divorce and custody and covers the rights of men and women from both the Sunni and Shiite sects, the two main components of the Bahraini society. The law will contribute to consolidating the stability of the Bahraini family, safeguarding its entity and boosting its significant importance in the diversified community and its pivotal role in sustainable development, according to the ministry of Justice, Islamic Affairs and Endowments. The ministry began studying the proposal submitted by the Shura Council to the Cabinet to issue a unified family law in the light of studies based on realistic issues and actual needs and in consultation with the Supreme Judicial Council. Article Five of the Constitution stipulates that “the family is the basis of the community, formed on the basis of religion, moral ethics and love of the homeland and its legal entity is preserved by law that strengthens its bonds and values under the umbrella of which motherhood and childhood are protected,” the ministry added. MP Abdul Halim Murad explained that in 2009 a family bill was introduced but rejected by Shi’ites. He believes that the law has been overanalyzed and the objections were political. Murad added that with the absence of a law that gives women their rights, Bahraini women are treated unfairly. Dalal al-Zayed, a member of the Arab Parliament and the Shura Council of Bahrain, said that the anticipated law will unite both Sunni and Shi’ite sects. Zayed is one of the MPs who proposed the new law. She said that in 2009, a draft-law was approved by Sunnis and rejected by the Shi’ites who were represented back then by the now dissolved al-Wefaq Association. Accordingly, courts would apply clear laws and jurisdictions for Sunnis following the Sunni version, and juristic deduction for Shi’ites. Zayed added that human rights associations and Supreme Council for Women are demanding the establishment of clear and unified family laws. Five members of both sects of the Shura Council, the upper chamber of the dual parliament, submitted the unified family law bill that aims to improve the legal status of women regardless of their sect. The bill was referred to the government, which in turn, should review it and present it to the Legislation and Legal Opinion Commission for amending its articles. It will then be referred again to the government which will present it to the parliament, and after that it will be sent once more to the Shura Council. If approved, the family bill will be submitted to the king to issue a decree of the new law.